Cleaning the rug is one of the routine house cleaning procedures that many people do in their houses. However, it is important to note that cleaning the rug does not end at vacuuming it. 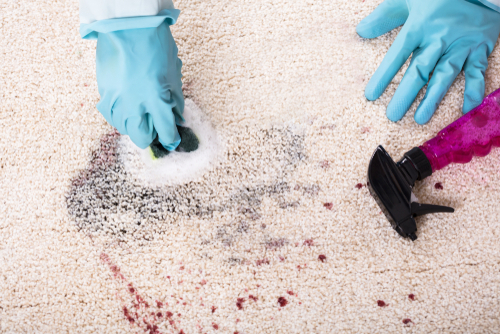 This is because sometimes there may be dirt that is firmly stuck on the rug and removing it may require the services of a professional rug cleaner. In any case, the larger your rug area, the more time you will take to clean it. 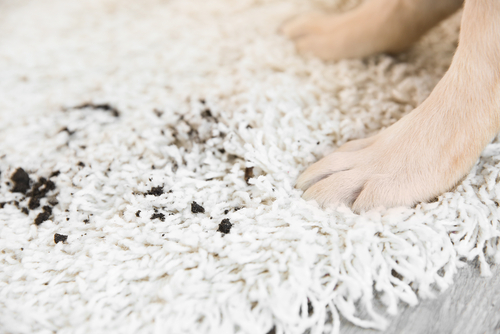 Sometimes, it is not easy to remove all the dirt when cleaning your rug. 1. Collect all the materials you will need before you start the rug cleaning process. This is one of the most effective ways to ensure that you do not waste a lot of time going back and forth to get the materials you require. When you have decided that you are going to clean your rug, collect all the materials to use for the washing and put them in a bucket. Then get the protective clothing you are going to wear and put it together with the other materials. 2. Before you start cleaning the rug, it is also very important to ensure that you carefully read through the instructions. All rugs come with instructions and sometimes even manuals that clearly indicate the best method of cleaning them so that they do not get damaged. It is important to not only skim through, but carefully go through all the details of washing the rug before you start anything. In addition to giving you some tips, the instructions will also help you avoid damaging your rug when you are cleaning it. 3. When you are cleaning the rug, it may be helpful to remove the furniture that is easy to move. This will allow you to have most of the rug space exposed so that it is more efficient for you when you are cleaning. In addition to the furniture in the house, you can also request all the people and family members in the house to leave the house. This will also ensure that you are not distracted during your rug cleaning process and the do not bring dirt into the house. 4. Before you start cleaning the rug, it is important that you first vacuum it. This is a very important tip that many people do not follow. However, vacuuming the rug is important because it will help you to remove any debris, dust and other materials that are on the rug. This will make it easier for you when you are cleaning the rug. This is because most of the dirt has already been removed. 5. When you are cleaning the rug, it is also helpful to follow the procedure used to clean a house; starting from the corner of the rug that is furthest from the door. As you lean the rug, also clean in in portions as you approach the end that is closest to the door. This is an efficient method of cleaning because you are able to get rid of the dirt through the door. In addition, the dirtiest part of the rug is closest to the door. Cleaning from the furthest corner therefore ensures that you clean from the cleaner parts towards the dirtier ones. 6. In case you encounter stains that are stubborn to remove, you can use vinegar or baking soda. The main advantage of using these to clean the house is because they are mild and cannot harm any fabric. This ensures that they are safe for use all around the house and on every rug material. In addition to being mild, they are very effective in removing stains and they will help you save time in case the rug has some stubborn stains. 7. 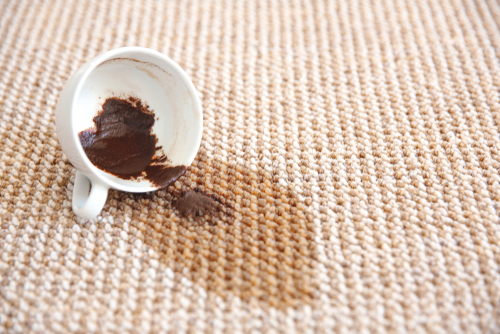 In case the rug has stubborn stains, it is also important to ensure that you do not vigorously rub the stains to remove them. This may be disastrous because it can lead to damaging of the fibers of the rug and even the shape. Rubbing on the stains does not also guarantee that the stain will get out fast. The instructions on the rug can have some tips on how to remove different types of stains from the rug. 8. When you have a rug that is made of natural fibers, ensure that you flip it when you are washing or vacuuming. This is because the rugs that are made of natural fibers allow dirt and dust to pass through the fibers and onto the floor. Cleaning without flipping it to clean the other side and the floor may be an ineffective way of cleaning the rug. 9. When you have a rug that is made of natural fibers, you may also want to ensure that it dries as fast as possible. This is because natural fibers tend to be damaged by water. This means that if you do not adopt a method that will allow your rug to dry as fast as possible, then the rug may get damaged and lose value fast. Some people have adopted the use of the hair-drier to ensure the rug dries fast. 10. When you are done cleaning the rug, ensure that you do not hang it on a clothesline. This is because the structure and the shape of the rug will be distorted irrespective of whether it is made of natural or synthetic fibers. When the rug is wet, you can place it on a drying rack that you use for the special clothes or on a counter. 11. If you did not get the rug out and you washed it in the house, ensure that it is completely dry before you bring in the furniture. This is because the rug may be vulnerable to stains when some dust settles on it when it is still wet. Therefore, ensure that the rug is completely dry before letting the family and furniture in the house. Rug cleaning is one of the things that people do especially on general cleaning days. However, rug cleaning may be a little challenging and time consuming, especially if you do not have rug cleaning tips. The guide above has the top 11 rug cleaning tips to help you save time and energy when you are cleaning your rug.